Brief: The K81DJs were my first step into higher-priced portables and remain a personal favorite through many upgrades and inventory changes. Build Quality (8.5/10): The construction of the K81DJ feels very robust and utilizes AKG’s patented 3D-Axis folding mechanism to make a truly versatile portable. The plastic headband houses a thick metal strip and is actually quite pliable. The joints of the 3D-Axis system are smooth and precise and the range of motion of these phones is very impressive. There is at least a half dozen different ways to fold them into the provided pleather bag. The cups are made of a hard plastic and the pads – of thick pleather. The cabling is thick and slightly rubberized. The plug is very meaty and the molded strain relief is massive. It is also threaded and a screw-on ¼” adapter is included. The biggest gripe I have with these is the length of the cord, which is quite excessive for a portable headphone at 8.2ft (2.5m). Comfort (6/10): With a bit of adjustment when donned the K81s can be comfortable for several hours. The headband can be stretched overnight over a stack of books for a looser fit, which reduces the pressure exerted by the cups. The clamping force of a stock set can indeed be excessive for long listening sessions but there is an upside – the fit is very, very secure. I find them comfortable for a while but the pressure does get tiring after some time. Also, the headband isn’t as long as I expected – it requires to be extended completely to fit around my noggin while all of my other portable require around 50% extension – and doesn’t have any padding. Those with large heads may want to skip this set as there may just not be enough length in the headband. Isolation (9/10): The wide range of motion of the cups, combined with the thickness of the pads, makes these one of the best-isolating portables I’ve ever tried. Leakage is nonexistent and the isolation they provide is actually on par with some of the lesser-isolating IEMs, which is saying a lot. Sound (7/10): The sound signature of the K81dj is definitely on the warm/dark side of things. The treble is rolled off slightly but it sounds very natural, especially with stringed instruments. The mids are rich and full, a tiny bit recessed compared to the bass, just like the treble, but still very natural-sounding. The low end is very powerful and lacking in control somewhat. There’s a certain softness to the bass impact that gives these a ‘weighty’ low end. Not ideal for tracks with dense, fast, rapidly changing basslines but very enjoyable in tracks with discrete beats. The bass can be eq’d down to balance out the sound but even as is the big bass can be lots of fun. The foam pads over the grilles can be removed to balance out the amount of treble, mids, and bass slightly, adding to the former two and subtracting from the latter. I still wouldn’t pick these for any critical listening but they are very enjoyable headphones all in all. Value (8.5/10): At the current street price the AKG K81Dj provide an incredible combination of portability, durability, and isolation. They perform respectably in the sq area as well, providing a rich midrange, very strong bass, and accurate treble. I never found them tiring even with the foam inserts removed and I can’t think of any set that I’d enjoy as much out-and-about without worrying about bothering those around me or everyday wear-and-tear. They can be comfortable for quite some time, though probably not for everyone. A plethora of well-documented mods exist to raise both the sq and comfort of the K81, giving them growth potential rivaled only by the KSC75s. A great set of phones that works extremely well at its price point (and makes me want to try the higher-end K181DJ). Is there any knowledge of imitations or fakes of these headphones circulating about? I recently purchased a pair of “refurbished” K518LE cans in white from what was supposed to be Harman direct on eBay. 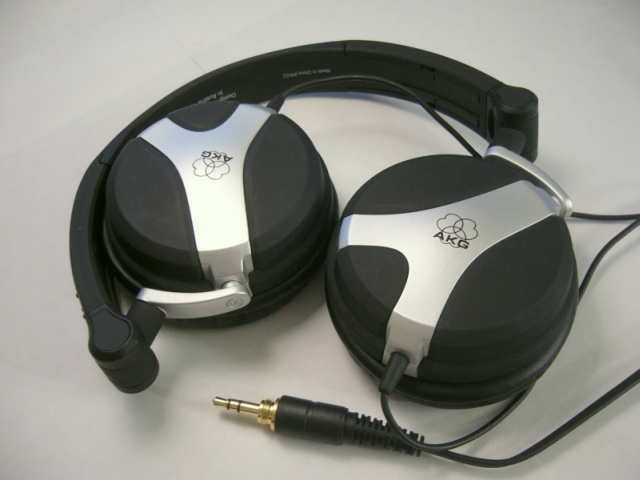 They had a US shipping address with Harman’s name on it however I have a few issues with them: The hinges have limited movement, the cans don’t swing as far towards the headband as the pictures show in this review. The cable is very thin, very short, has no strain relief, and no threads for a adapter. They also seem very inefficient, unless my clip+ is malfunctioning. The bass doesn’t seem that impactful and the treble seems very bright actually, contrary to most reviews I read. The headphones sounded terrible out of the box and improved slightly after a day of pink noise burn in. Am I imaging things or do these seem illegitimate? Did I just get unlucky with a manufacturer refurb?